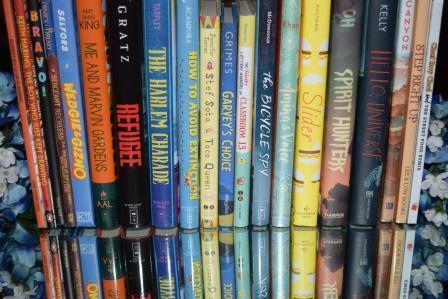 Start Reading and recording your responses to each book NOW - see link below! 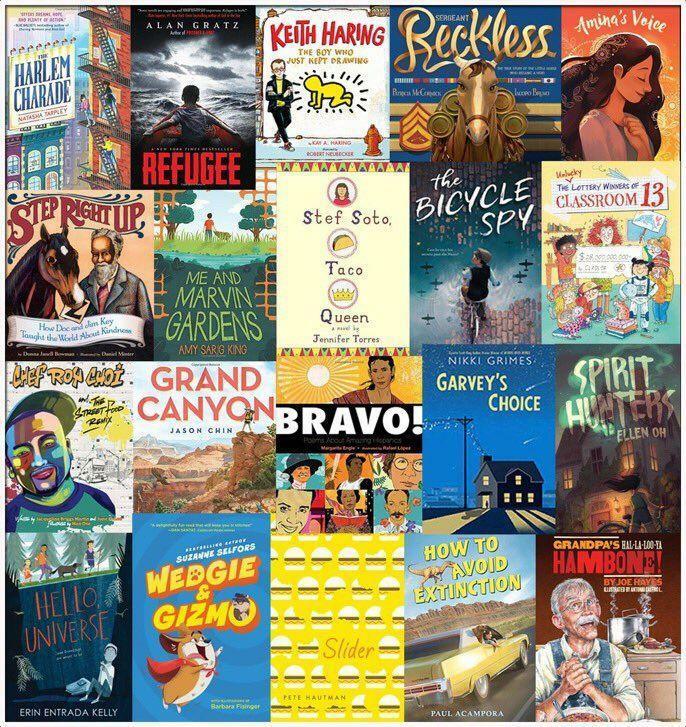 Here are the 20 books chosen for this year that you can find at participating libraries, the Hart Library, and on Overdrive. Voting will be in January 2019 and we will celebrate with a PANCAKE BREAKFAST. GOAL: 50+ students from grades 3 and 4 participating. Read or listen to 5 of the 20 books between now and January. 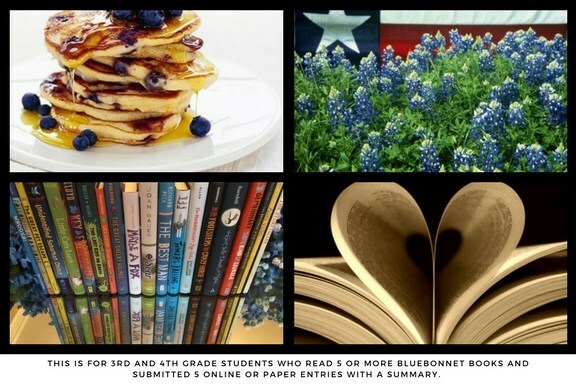 Fill out the Book Response Google form HERE to be a Texas Bluebonnet Voting Member.